Just click the block to sign up! 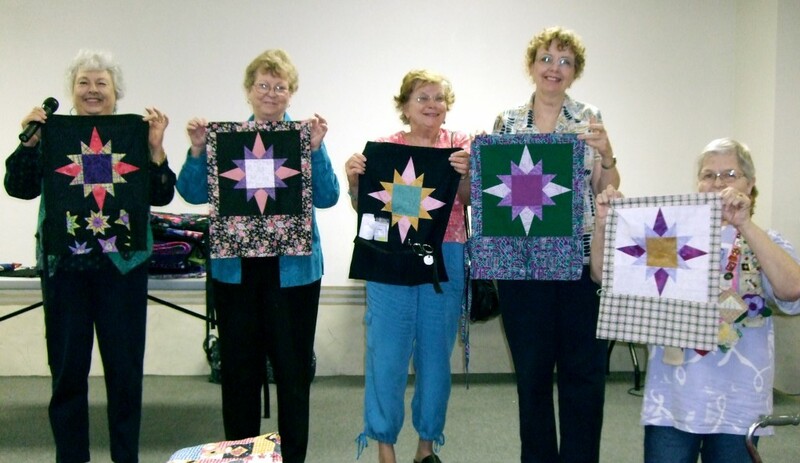 Join the Carol Doak Yahoo Group – Almost 8000 Members – Free Patterns and more! I Would Like to Thank the Academy….. I know they say you can’t go home again, but sometimes I have the privilege of returning to visit a quilt guild that I have visited before. 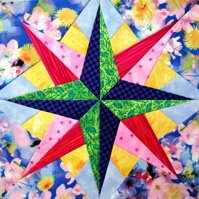 That was the case this January when I returned to McAllen, TX to visit the Rio Grande Quilt Guild for a second time. Since the weather here in New Hampshire was very cold with snow and ice, visiting the balmy temperatures of southwest was a bonus I was eagerly anticipating. I taught the Sunrise Mariner’s Compass workshop the first day and the Perfect Points workshop on the second day. We all had lots of fun and several students completed their projects. Everyone was smiling and ready for a good time. Then on Saturday, the meeting of the guild took place and I brought my trusty camera along. The large room was overflowing with several hundred quilters. I was impressed so I snapped a picture of the audience. I presented my lecture, Paper Piecing: When, Why and What if? for the morning program. I was sincerely touched to receive a loud and happy standing ovation from the guild members. Look at all those perfect points! Then it was time for Show and Tell. My students all came up on stage to show off the projects from our two days of workshops. Wow, it was really impressive to see all those perfect points and and Sunrise Quilts. 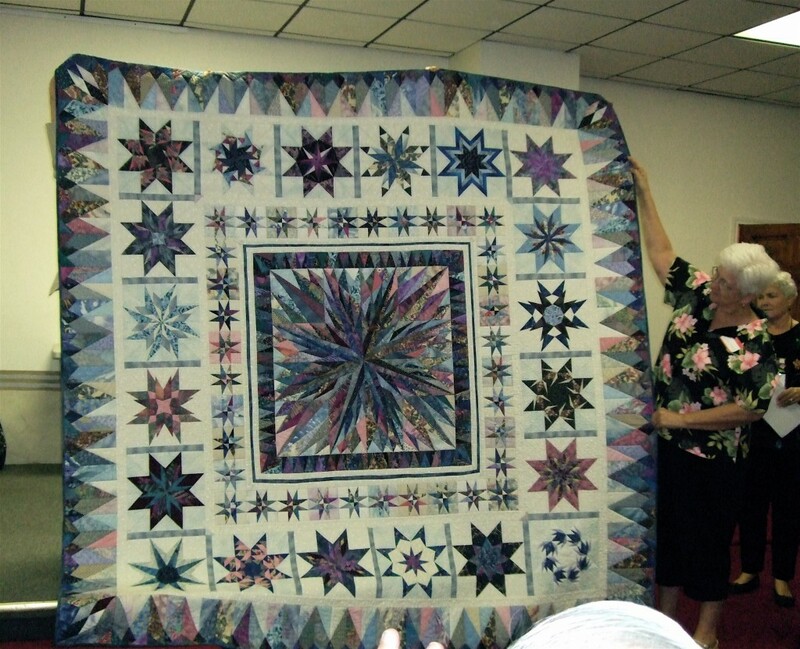 And then…..I was treated to a stunning medallion quilt that was shown by one of the members featuring a border of star blocks from my book, 50 Fabulous Paper-Pieced Stars. In my excitement to snap a photo of this quilt, I neglected to write down the name of the maker. If anyone knows, please post it in a comment so we can give credit. 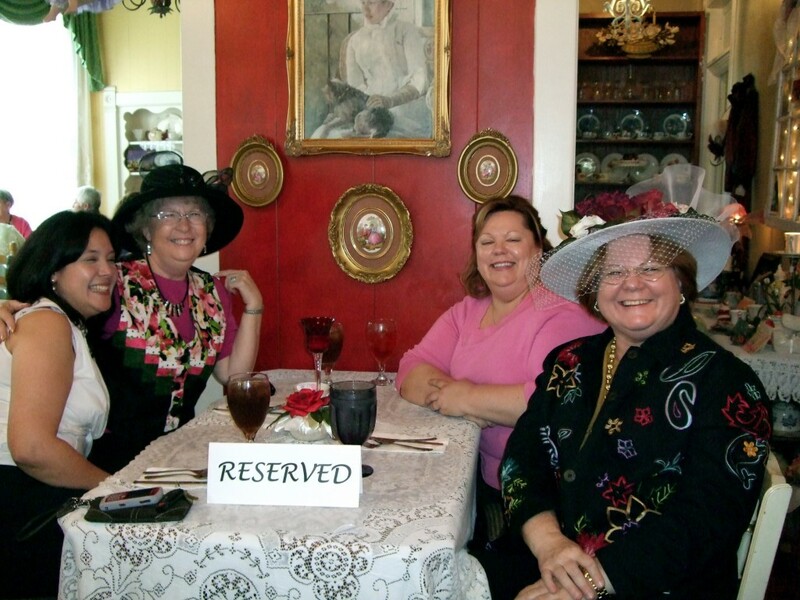 After the meeting, about 25 of us went to a darling Tea House for lunch. We had a ball playing with all the hats hanging around and trying to decide which one was our perfect hat. I returned home the next day to single digit temperatures here in NH and so many fond memories of my trip. 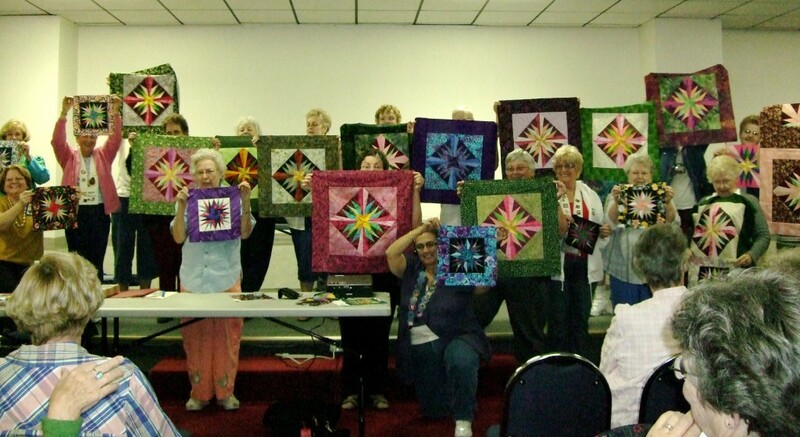 Thank you Rio Grande quilters for your warm hospitality and the fun. And many thanks to Susan Flarity for your friendship and wonderful organization. I look forward to returning to the Rio Grande in 2012! This entry was posted on Tuesday, January 13th, 2009 at 6:27 pm and is filed under On The Road Again.... You can follow any responses to this entry through the RSS 2.0 feed. Both comments and pings are currently closed.